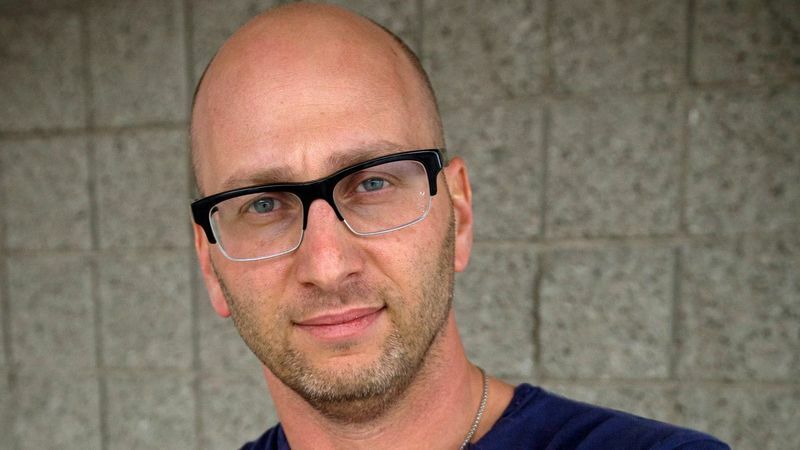 Steve Lieberman, 46, is the president of SJ Lighting Inc., a Westlake Village production design company with jobs that range from lighting a Las Vegas nightclub to designing and building stages at big music festivals, such as the Coachella Valley Music and Arts Festival. The company's core group of five, which includes his wife, Michele, is supplemented with different contractors based on the job. Lieberman, a New York native, was just 15 when he first felt the lure of what would later become his career, serving drinks on teen night at a local nightclub. "I just always enjoyed their music," he said. "Being able to hear music that I really enjoyed and work in an environment where people were having a great time, it was a home run." Lieberman was following a traditional path, working on pre-law courses at the University of Arizona and graduating with a history degree. On the side, he said, "I never really let go of the nightclub and nightlife environment. I was always participating in setting up and producing events" and working summers at a lighting and production company setting up nightclubs in New York. "I had this epiphany," Lieberman said. "I really just didn't enjoy being a student. Why am I gonna torture myself and reapply to school again after I had to struggle just to finish up this one?" Back in New York, working with a childhood friend or on his own to light events and venues, he sometimes took underground gigs such as illegal warehouse parties. "Anytime we needed power and it wasn't readily available, we needed to improvise," he said. That sometimes meant gingerly hooking up a cable to a live source of electricity. "I would never recommend or advise anyone do anything like that ever in their career," he said. Times were so lean that he needed his skateboard to look for work because he didn't have subway fare. Lieberman returned to Arizona as the rave culture was heating up in the 1990s and, with a couple of partners, dived right in. "Raves were just going crazy. So we'd bought equipment, and we were going out and we were doing shows every single week, sometimes two a week," Lieberman said. "We did that for almost three straight years" with a very lean operation, he said. "That's where I was the truck driver, I was the rigger, I was the electrician, I was the programmer, I was everything." Lieberman still gets a charge out of his work. "You feel like you've actively participated in building an environment that people are coming and enjoying this experience, and it's helping them. You're creating and adding to the entertainment value," he said. Once the design and construction is done, and the show starts, Lieberman said, "and it's rocking, and people are really enjoying it, you feel good about yourself. You're like, ‘Wow, look at what we did.' That feeling has never changed. It's always something that is very exciting." Lieberman had amassed dozens of pieces of equipment, including lights. Before leaving Arizona for Los Angeles in 2001, he would sell everything but his lighting deck, the console that he plays like a musician. "So I could start working right away, basically saying, ‘Hey, I'll design your show. I could program your show, and I'll even bring my own deck, so please hire me,' because I was starting from the bottom again," he said. "That's when we started SJ Lighting." Lieberman landed his first large-scale event before leaving for Los Angeles, working at the Ultra Music Festival in Miami in 2000. 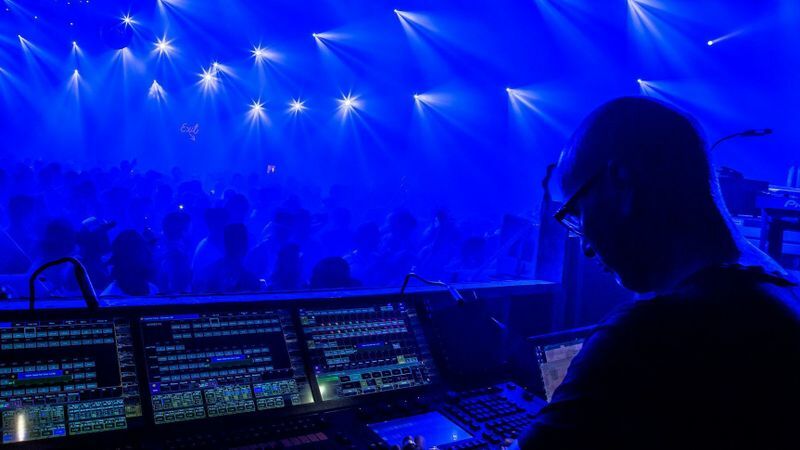 One of the event's production managers had read an article about his work as a lighting designer. "These guys read it and called me and said, ‘Hey, how'd you like to come and run some stuff for us at Ultra?'" Lieberman said. "And I actually stayed with Ultra for 18 years." Lieberman said it can take from a few weeks to six months to design a stage lighting set for an event. In January, for example, he was presenting his plan for the Yuma underground dance music stage at Coachella, which will run across two weekends, April 12-14 and April 19-21. "We submit documents that detail the drawings, from plan, view, elevation, sections, shop drawings, detail drawings that show all the components of the puzzle of how it goes together, from how the DJ booth gets built to how the lights hang, what the fixtures are," he said. A big techno music fan, Lieberman said working in the Yuma tent is one of his favorite jobs. If anything is amiss, even something involving a single light, Lieberman has been known to leap into action midshow and fix it. "I am detail oriented on a forensic level," Lieberman said. "I need everything to be right where it is. As a designer … that's where your designs will really outshine maybe the guy next door." "I really rolled the dice," Lieberman said, in diving into an unusual career and doing raves when others in the industry were ignoring them. "It's better to do it when you're younger where there's a little bit more time to recoup if you fall on your face. I definitely fell on my face many times. There were at least 10 years where I was making barely enough to pay the rent." "Without her, none of this would have been possible," Lieberman said about Michele, who is a vice president and partner in the business, running the less flashy aspects of SJ Lighting. "I need help just to kind of keep the business running. To have a business partner that happens to also be my best friend and my wife is invaluable." The Liebermans are approaching their 20th wedding anniversary. They have a daughter, Sophia, and a son, Jack. Perhaps it's no surprise that one of Lieberman's favorite pastimes involves a control panel, when he is piloting his Piper Pathfinder. "It's like therapy, he said, "and there's nothing more exhilarating than hauling down the runway and rotating that aircraft and taking off, and then you're flying."